Shad Ketcher | New Era Financial Advisors, Inc.
Shad Ketcher is a hardworking, knowledgeable, and dedicated financial planner who fully enjoys helping people reach their significant life goals and making informed decisions about their money. Shad cares about his clients, and wants them to do well. He works hard to find new and creative solutions to help people reach their financial goals. He has helped many people get started on the road to financial success. He has helped others who have done well to finish well. Shad believes that we all need a trusted advisor to help us to stay the course and remain committed to a long-term strategic plan. Shad grew up in Central Minnesota and served in the US Army. After his tour of duty, he returned to Minnesota and graduated from St. Cloud State University with a degree in business. He supported himself through college by running his own business. He learned the value of hard work, money, and what it takes to be successful in business. 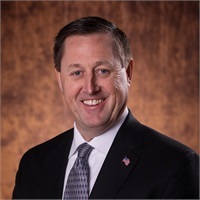 Today, Shad runs his own business in affiliation with New Era Financial Group, Inc. Shad lives and works in Hutchinson, Minnesota, and serves clients and businesses throughout the state. He is married and is the father to two daughters and a son. Shad wants his clients to know that he values a relationship of mutual respect and trust. He works hard to make his client's plans work over the long term. These plans often include a dignified retirement and a goal of providing your children and grandchildren with the opportunities you desire; and creating and passing on wealth to the people and organizations that you value. Qualification for Ed Slott's Elite IRA Advisor Group SM is based on completion of education modules and payment of training and membership fees. Qualification should not be construed as an endorsement of the financial advisor and is no guarantee as to future investment success, nor is there any guarantee that the financial advisor will continue to meet this qualification in the future. 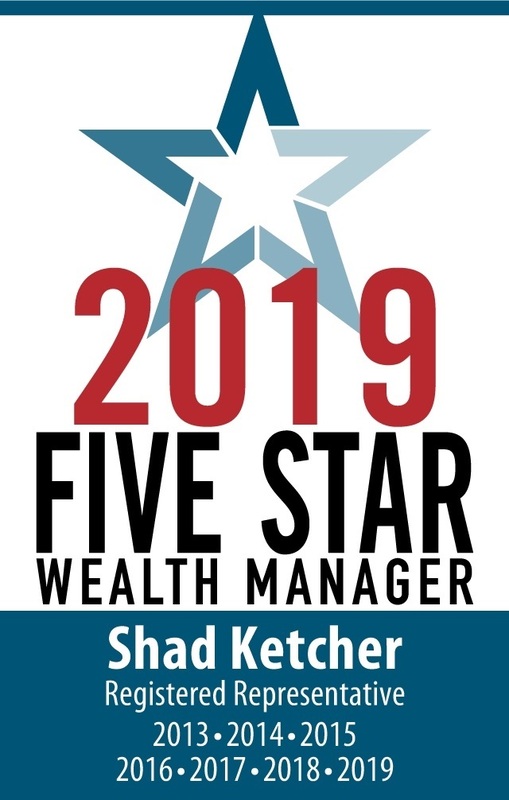 The Five Star Wealth Manager award, administered by Crescendo Business Services, LLC (dba Five Star Professional), is based on 10 objective criteria. Eligibility criteria-required: 1. Credentialed as a registered investment adviser or a registered investment adviser representative; 2. Active as a credentialed professional in the financial services industry for a minimum of 5 years; 3. Favorable regulatory and complaint history review (As defined by Five Star Professional, the wealth manager has not A. Been subject to a regulatory action that resulted in a license being suspended or revoked, or a payment of a fine; B. Had more than a total of three customer complaints filed against them [settled or pending] with any regulatory authority or Five Star Professional's consumer complaint process. Unfavorable feedback may have been discovered through a check of complaints registered with a regulatory authority or complaints registered through Five Star Professional's consumer complaint process; feedback may not be representative of any one client's experience; C. Individually contributed to a financial settlement of a customer complaint filled with a regulatory authority; D. Filed for personal bankruptcy; E. Been convicted of a felony); 4. Fulfilled their firm review based on internal standards; 5. Accepting new clients. Evaluation criteria - considered: 6. One-year client retention rate; 7. Five-year client retention rate; 8. Non-institutional discretionary and/or non-discretionary client assets administered; 9. Number of client households served; 10. Education and professional designations. Wealth managers do not pay a fee to be considered or placed on the final list of Five Star Wealth Managers. Award does not evaluate quality of services provided to clients. Once awarded, wealth managers may purchase additional profile ad space or promotional products. The Five Star award is not indicative of the wealth manager's future performance. Wealth managers may or may not use discretion in their practice and therefore may not manage their client's assets. The inclusion of a wealth manager on the Five Star Wealth Manager list should not be construed as an endorsement of the wealth manager by Five Star Professional or this publication. Working with a Five Star Wealth Manager or any wealth manager is no guarantee as to future investment success, nor is there any guarantee that the selected wealth managers will be awarded this accomplishment by Five Star Professional in the future. For more information on the Five Star award and the research/selection methodology, go to fivestarprofessional.com. 2,673 Minneapolis wealth managers were considered for the award; 825 (21% of candidates) were named 2016 Five Star Wealth Managers.